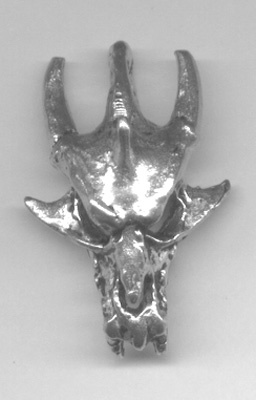 Our Pewter Pendant is the top half of a dragon's skull with horns and even teeth intact. (The lower jaw was never found.) It is one inch across at the widest, and like all our Pewter Pendants, comes on a chain.